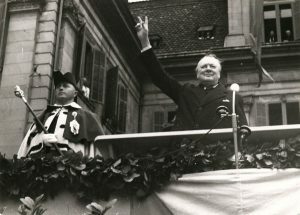 Zürich +70: Churchill on Europe, at Zurich University. 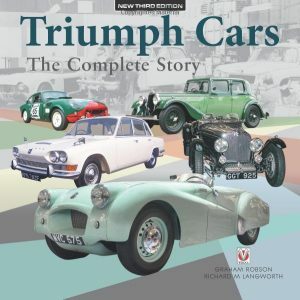 I am now going to say some­thing that will aston­ish you. The first step in the re-cre­ation of the Euro­pean fam­i­ly must be a part­ner­ship between France and Ger­many. In this way only can France recov­er the moral lead­er­ship of Europe. There can be no revival of Europe with­out a spir­i­tu­al­ly great France and a spir­i­tu­al­ly great Ger­many. Sev­en­ty years to the day after Churchill’s Zürich speech, Zürich Uni­ver­si­ty spon­sored a dis­tin­guished sem­i­nar. 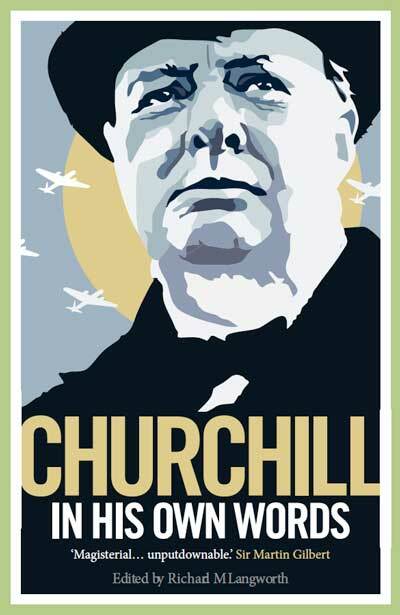 Its focus was that famous ora­tion, and Churchill’s views on Europe. The event proved more poignant than expect­ed in the wake of Brex­it, Britain’s June vote to leave the Euro­pean Union. Beau­ti­ful­ly con­duct­ed, with an array of out­stand­ing schol­ars, this sem­i­nar offers high edu­ca­tion­al val­ue and insight into Churchill’s phi­los­o­phy. 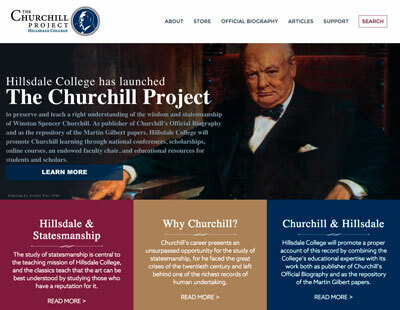 The intro­duc­tions are by Zürich Uni­ver­si­ty Rec­tor Dr. Michael Hen­gart­ner, and by the skilled and ver­sa­tile Allen Pack­wood, direc­tor of the Churchill Archives Cen­tre. 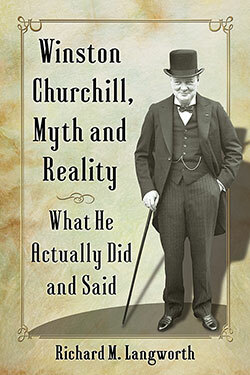 Con­clud­ing remarks are by Sir Winston’s great-grand­son, Ran­dolph Churchill. I rec­om­mend it high­ly to any­one inter­est­ed. To lis­ten on desk­top or mobile, click here. Read­ers will make their own judg­ments and their thoughts are wel­come. 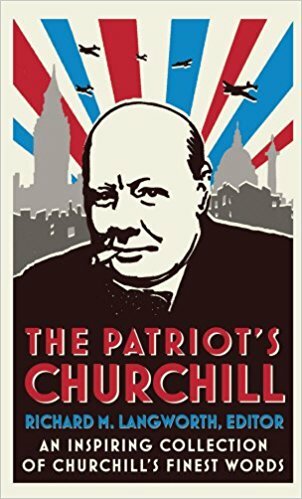 Klos argues that Churchill liked the idea of a Euro­pean army, and that such a thing is now the prop­er defense against Russia’s Putin. He believes the Brus­sels bureau­cra­cy was some­thing of which Churchill might have approved. I do not myself con­ceive that fed­er­al­ism is imme­di­ate­ly pos­si­ble with­in the Com­mon­wealth. I have nev­er been in favor of it in Europe. —8 July 1952, to Woodrow Wyatt MP. 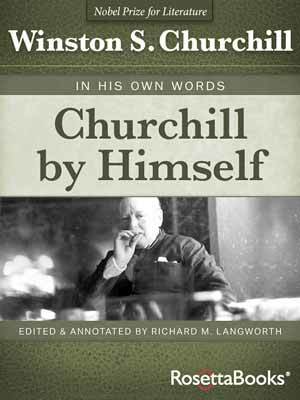 When he became a states­man with real pow­er, rather than a utopi­an dream­er, Churchill’s final atti­tude emerged. Relent­less and irrefutable, Roberts pounds home what Churchill real­ly believed: Euro­pean recov­ery, trade and free­dom, with Britain “pro­found­ly blended”—an ally, a friend, but not a mem­ber. At the end he asked for a show of hands by the Zürich audi­ence: how many would today join the EU, how many would not? One guess as to the result. Trust the Swiss. 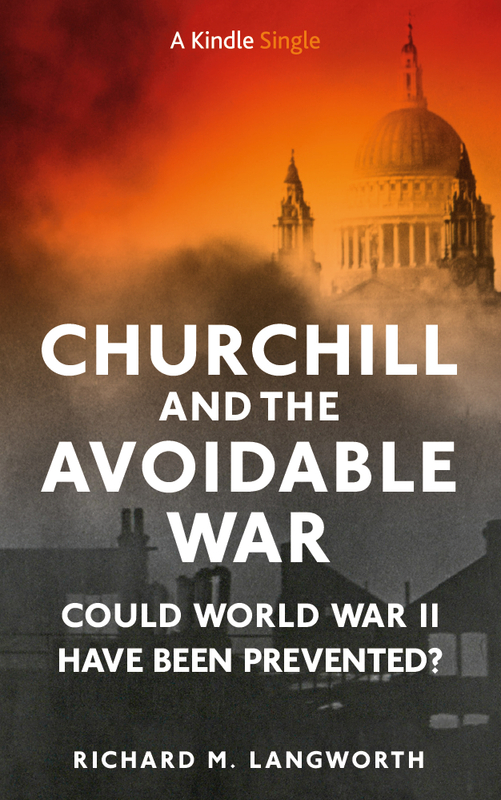 Lord Wat­son of Rich­mond, whose new book Churchill’s Lega­cy dis­cuss­es Churchill’s 1946 Ful­ton and Zürich speech­es, is, I think, a bit too alarmist over a U.S. pres­i­den­tial can­di­date who says he wants NATO mem­bers to pay their share and has ques­tioned Clause 5 (an attack on one is an attack on all). As Roberts points out, what politi­cians say out of office (e.g., Churchill, 1945-51) is often stark­ly dif­fer­ent from what they do in office (e.g., Churchill, 1951-55). And what’s wrong with NATO mem­bers pay­ing their agreed share of the bills? Par­tic­u­lar­ly if the lat­est plans for a Euro­pean Army, as I sus­pect, fiz­zle? The can­di­date in ques­tion is a self-con­fessed deal-mak­er. He stakes out a start­ing posi­tion and goes from there. If elect­ed, a like­ly deal would be con­firm­ing Clause 5 pro­vid­ed the derelict NATO mem­bers cough up. Which would be a very con­ge­nial deal indeed. Lord Wat­son is out­stand­ing at the end of his remarks. Elo­quent­ly he high­lights the tremen­dous refugee prob­lem Europe is fac­ing. Plain­ly, he says, Europe can­not be the repos­i­to­ry for all of North Africa. Per­haps the deriv­a­tive of that is the con­cept of safe zones, where peo­ple can be secure in their own home­lands. I have heard at least one pres­i­den­tial can­di­date endorse this.